Associate Justice Robert Miller of the Appellate Division, Second Department will serve on the State Commission on Judicial Conduct more than 30 years after working with Cuomo at the defunct firm Weiss, Blutrich, Falcone & Miller. Gov. 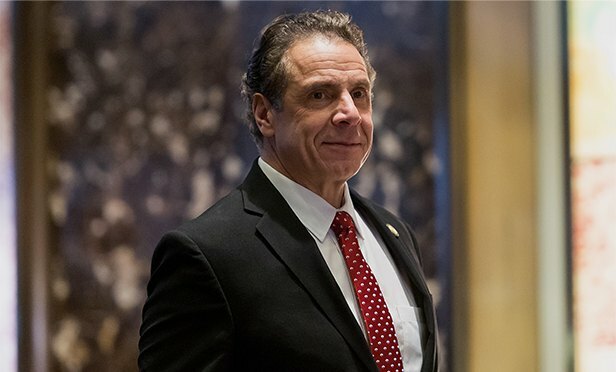 Andrew Cuomo has appointed a colleague from his early years as an attorney in Manhattan to a state panel that reviews complaints of misconduct by the state’s judges and justices within the state court system. Dan M. Clark is the Albany reporter for the New York Law Journal. He covers the state Court of Appeals, the state legislature, state regulators, and more. Email Dan anytime at dmclark@alm.com. "Work on desired outcomes and required resources should always be scoped jointly by the lawyer and client. But there is one subtlety. When it..."
The members of the New York State Magistrates Association stand ready to address real concerns in a collaborative and objective manner, devoid of the unsupported attacks based upon a preconceived bias. Statutory interest rates in New York are fixed at nominal amounts, usually according to the monetary environment in which the statutes were enacted (or last amended). Given the drastic changes in monetary policy, these statutory rates are anachronisms in today’s low interest world. Droney was nominated to serve on the federal appellate bench by President Barack Obama in 2011, after serving for 14 years as a district court judge in Connecticut.